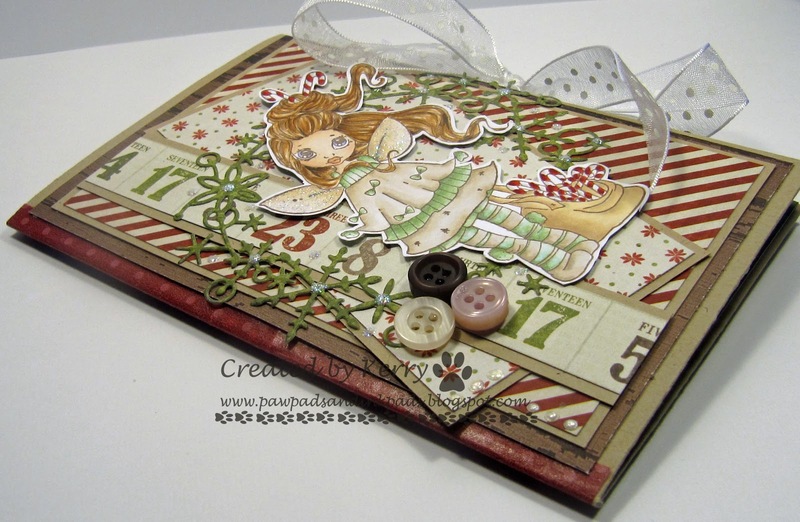 Well, today was my last planned class this year at The Paperlane. This was a beginner Copic Colouring class, with a project to make. There were five lovely ladies with me today (Mari, June, Bev, Susan and Julie - Hi Ladies!!). Today was a bit of a giggle, as once we got through the colouring to the project things got a bit hectic! Mental note to self....how many layers do you need on a project???? Lol! Still, here it is - this is the sample for the session today. 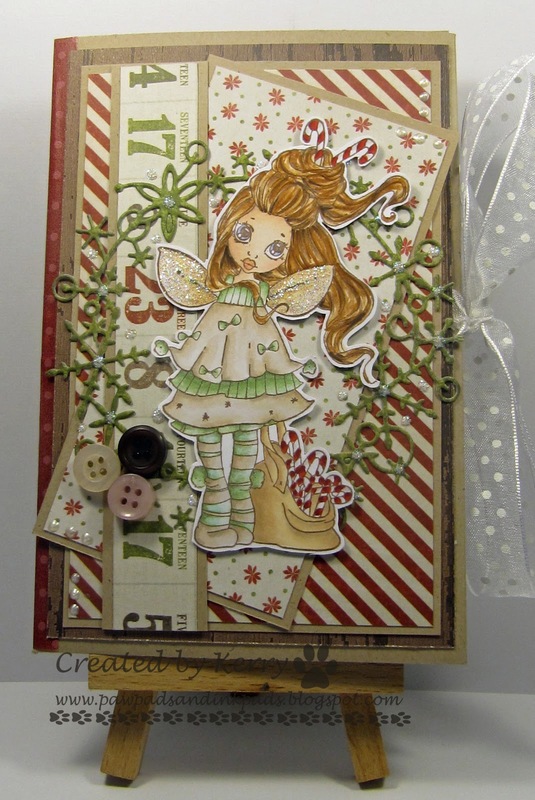 I used a gorgeous new stamp - this is little Miss 'Candy Canes'. She is a Saturated Canary rubber stamp, which is SO good - I can distress ink these lovelies to my heart's content - although this is Copic'd! Caz has them in stock - but they are not online! We made a gift card pouch - I love making these, as a gift card never looks much floating around a normal card, but this makes it more of a gift I think. The inside - both of the panels can be removed to store gift cards, notes or money. 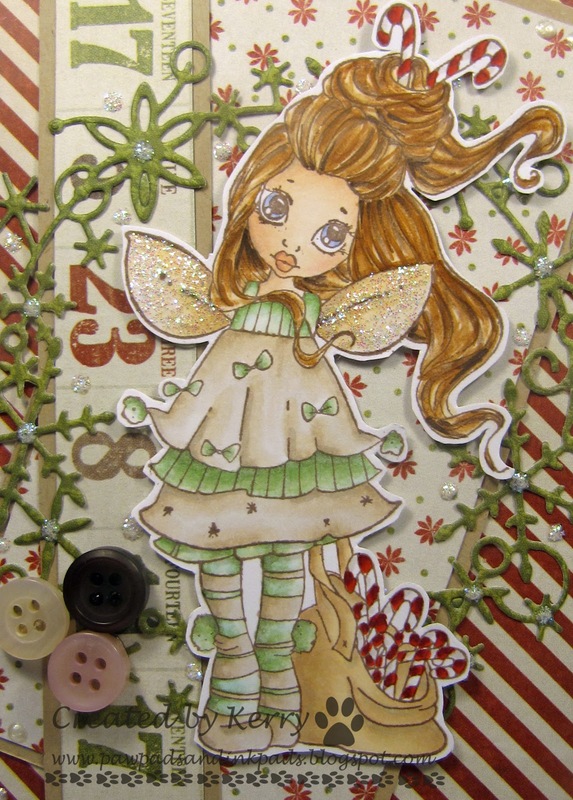 Close up detail of the colouring - and the sparkles! Here is the project laid down so you can see the dimension. Hair: E50, E51, E33, E37, E47, E57 and a tiny touch of E59!